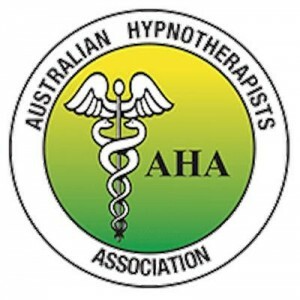 * Looking For A Professional Perth Hypnotherapy Clinic ? The team at Hypnocare hypnotherapy clinic have seen first hand, how hypnosis can be a powerful tool to help clients overcome many of their varying fears and complaints. Linda and her team can help you if you are ready to take that first step to taking back control of your health and well-being – physically, mentally, emotionally and spiritually. No matter the cause of your depression, hypnosis can help you regain control of your emotions, overcome panic attacks, and reduce stress and anxiety. You will regain your confidence, self esteem and personal happiness in a safe and natural way and your future can once more be something you look forward to. Hypnosis can be used to effectively control pain you may have from a variety of physical conditions. It can also mitigate the effects of medications, such as chemotherapy, so you can achieve a more comfortable state. When used in conjunction with conventional medical treatment, hypnotherapy has been proven to significantly improve the quality of life for many people. Modern life can be confusing for men, with social rules constantly changing and the job market growing so fiercely competitive. Many of the things blokes did in the past for recreation are now frowned on, and there are all kinds of pressures from work and family that never seem to ease. Hypnosis can help you regain control of your life by helping you focus on your strengths and find a core of inner calm from which to meet your life’s challenges in a more positive and constructive way. Lacking the get-up-and-go to get your life on track? Hypnosis can motivate you to make whatever changes you want to make in a safe and sensible way, to take control of your life and get things happening so you can create the life you want to live. Quit smoking easily and comfortably, without the cravings, mood swings and weight gain! Hypnosis can help you quit smoking in just a few sessions if you genuinely want to quit. The number of sessions varies according to whether it’s simply a bad habit or part of a more complex problem. The less emotional investment you have, the quicker you will see results. It is not unusual to quit smoking after only one or two sessions if it’s only a habit. Hypnotherapy can easily help you shed accumulated stress, both mental and emotional, and regain the ability to stay calm and in control, even in very trying situations. Some of the many benefits of stress reduction are improved sleep and renewed zest for life, not to mention improvement in your general health and wellbeing. There are many reasons for weight gain, from stress to poor diet, and eating for comfort or loneliness. Sometimes you gain weight even when you think you are eating the right foods at the right times. Hypnosis can help you overcome the emotional causes for weight gain, and begin to crave sensible, healthy foods and exercise that will reduce your weight in a safe and easy way. You will easily and automatically control what you eat, when you eat, and how much you eat, and your self confidence and self esteem will improve so that “comfort eating” is a thing of the past. Anxiety, fears and phobias have nothing to do with normal, rational thinking, yet the fears are genuine and can paralyze you. Often they stem more from the fear of what might happen rather than the logical ‘knowing’ of what probably will happen. Hypnosis can create a new perception of the focus of the fear, thereby reducing, and finally removing, the phobia. Hypnotherapy can also address fear that stems from such events as a violent assault, allowing you to reclaim your life, and return confidently to normal behavior. Women today lead complex lives because they fill many roles – lover, mother, teacher, partner, sports coach, taxi driver, and often bread winner as well. Sometimes there is the added burden of a failed marriage with all its accompanying self-blame and baggage. With all the demands on our time and resources, it’s no wonder so many women feel as if they have ‘lost’ themselves. Hypnosis can help you rediscover your unique self so that you can deal with your busy life from a calm centre, accessing your inner wisdom and peace for a more fulfilling life. If past emotional issues have been holding you back or colouring your life in ways that don’t serve you, hypnotherapy can help you put the past where it belongs – in the past. It can help remove the pain and motivate you to move forward in a positive way. Get the edge over the competition by using hypnotherapy to become motivated, positive and confident. You will be able to give better service to your customers and boost your sales figures and income. Hypnosis can help restore balance to your mind and body so that all systems in the body are in harmony, and health and wellbeing are enhanced. Hypnosis can help you deal with traumatic events in a safe, comfortable way, so that you don’t have to constantly relive the events in your mind, and can move forward in a more positive disposition. 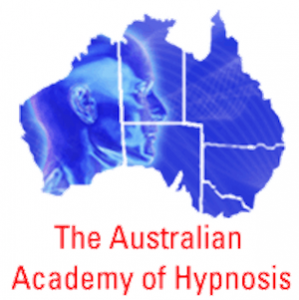 Hypnosis can help you to improve your memory and retain information simply and easily. It’s ideal for students of any age, or anyone who suffers from poor memory and wants to remember again. Hypnosis can help you develop more confidence and personal charisma to attract and keep more meaningful relationships in your life, and to improve the ones you already have in a pleasant and constructive way. Hypnosis can help you through the many stresses and changes that occur in pregnancy and aid in a much more relaxed and often pain-free natural childbirth. Whether you like the horses or the pokies, there’s nothing wrong with a little flutter. But lives can be affected when this gets out of control. Hypnosis has been proven to reduce and eliminate addictive gambling habits, bringing sanity back to your life. Sports psychology is a booming business. Many top athletes are now so close in terms of performance that their thoughts and feelings are the X-factor that brings victory. Hypnosis can be used to enhance both team and solitary sports performance by helping to transform complex motor procedures into automatic movements, and to improve concentration and focus, thereby boosting confidence. Confidence is the key, as demonstrated in a sports psychology study which found that top athletes had as just as much anxiety as their colleagues but had better self-talk.